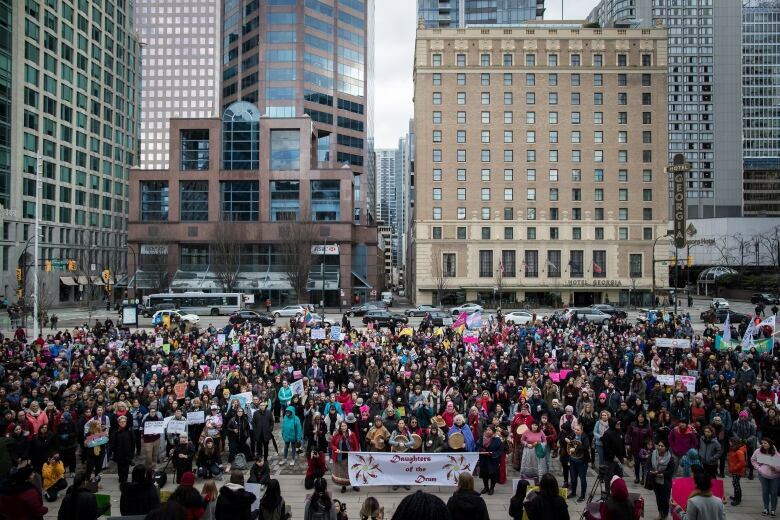 Hundreds of people showed up for the third Women's March in Vancouver on Saturday — a smaller crowd than in previous years but one that organizers say was still powerful. 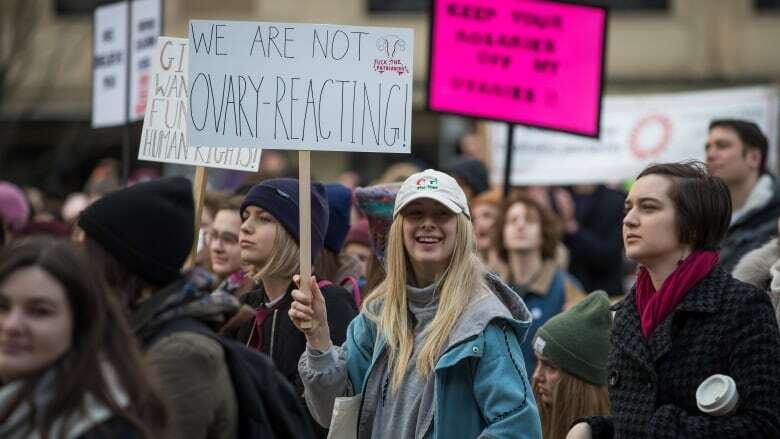 Hundreds of people showed up for the third Women's March in Vancouver on Saturday — a smaller crowd than in previous years but one that organizers say was still significant. Marches demanding the advancement of the rights of women and other vulnerable groups were organized across the world on Saturday in solidarity with those marching in Washington, D.C. The movement started in the U.S. following President Donald Trump's inauguration in 2017. 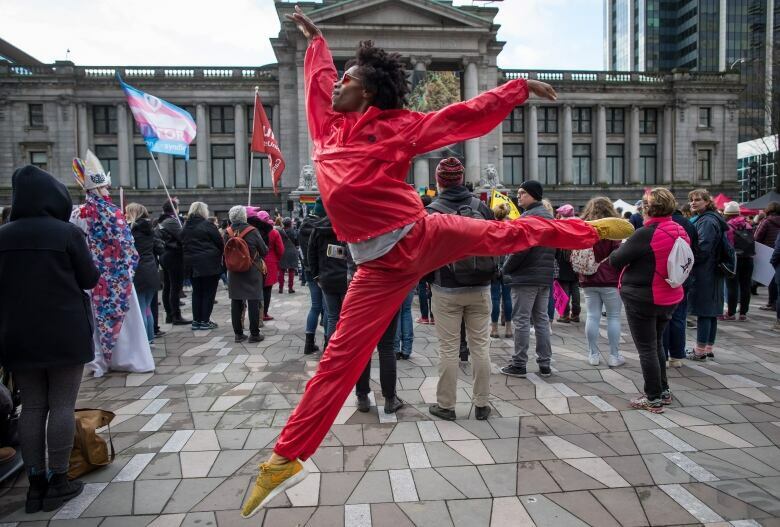 Vancouver organizer Samantha Monckton said Trump's election prompted stronger numbers for the first march but the turnout on Saturday was still noteworthy. "I think it was probably one of the best, if not my favourite," Monckton said. "There was such an amazing energy." Monckton said the actual turnout wasn't as important as the march's message of women's solidarity and empowerment. 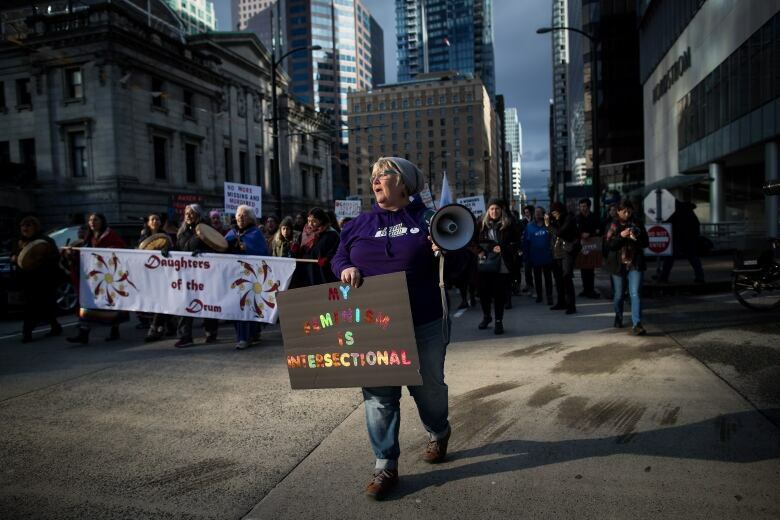 The movement also works toward protecting reproductive rights and acknowledging issues faced by the LGBTQ community, Indigenous people, immigrants, workers and people with disabilities. Part of the crowd in Vancouver showed support for the hereditary chiefs of the Wet'suwet'en First Nation by chanting "No consent, no pipeline" as a natural gas pipeline is planned for the community's traditional territory. 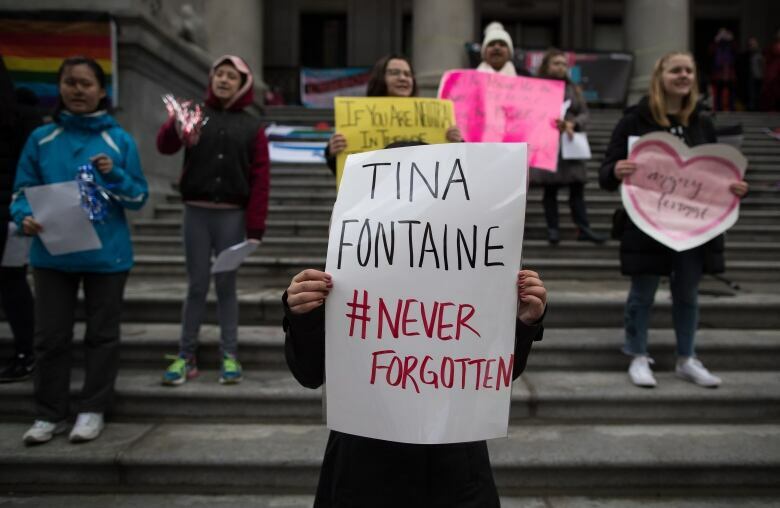 In Vancouver, teacher Annie Ohana used the march as an opportunity to teach some of her female students at L.A. Matheson Secondary that they have a voice. "Opportunities like this give our youth a chance to actually practice active citizenship, actively get involved in their community, and to empower themselves as well," Ohana said. Janne Byukusenge, 17, was one of Ohana's students who attended the march. Byukusenge said she sees female inequality all around her, and the march was her way of standing up to it. "In my life at school I don't really see so many people doing much about anything, so I think it's important to come out so people know you're here and you care about these issues," she said. "We can't wait for things to happen. You have to actually go outside and make them happen and make sure that you're heard." NDP Leader Jagmeet Singh also participated in the Vancouver march, which he called an "incredibly powerful movement." "It's been far too long that we've seen oppression and injustice and inequality, so to be a brother standing in solidarity with my sisters is an honour," said Singh, who's hoping to win a federal bylection in the nearby riding of Burnaby South. In Montreal, a group of roughly 150 braved frigid temperatures that dipped below -22 C to hold a rally in a downtown park.